The funeral wreath was taken from Abraham Lincoln's coffin and the pallbearer's badge was worn by Henry S. Lane. 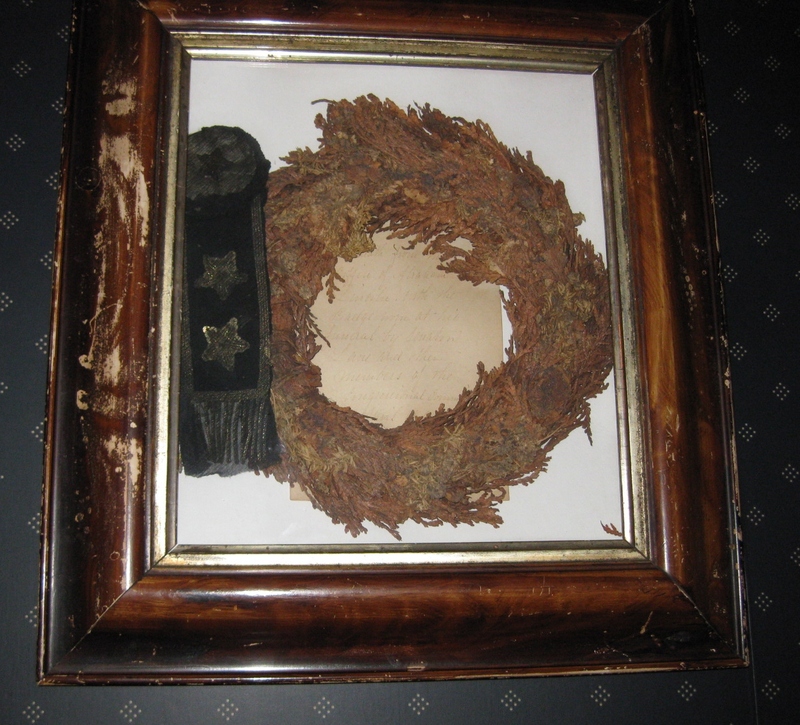 The handwritten card inside the frame reads, "WREATH FROM THE/ COFFIN OF ABRAHAM/ LINCOLN WITH THE/ BADGE WORN AT HIS/ FUNERAL BY SENATOR/ LANE AND OTHER/ MEMBERS OF THE/ CONGRESSIONAL COMMITTEE/ April 1865." Use of this item for research, teaching, and private study is permitted with proper citation. Reproduction of the item requires our written permission for publication, broadcast or commercial use. Request for such must be made in writing, outlining in detail the items to be reproduced and requested use of the reproduction. 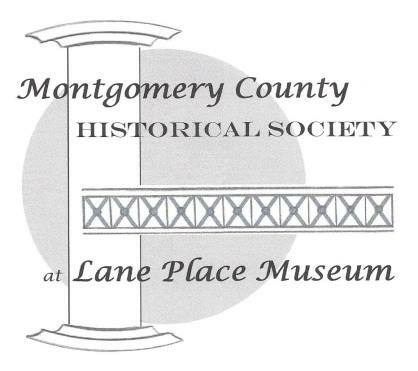 For permission, please contact Victoria Johnston at vjohnston@lane-mchs.org.